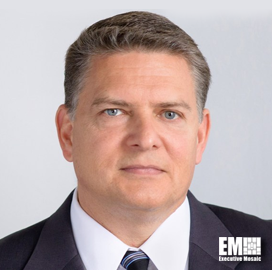 Alex Fox, former director of space intelligence, surveillance and reconnaissance solutions at Harris (NYSE: HRS), has been named executive vice president of business development, sales and marketing at HawkEye 360. The more than 20-year industry veteran will lead a global sales marketing team that offers radio frequency data analytics platforms, the company said Thursday. In his previous capacity, Fox oversaw new business opportunities in the defense, intelligence, civil and commercial sectors for Harris’ space and intelligence segment. He served in various positions at Northrop Grumman (NYSE: NOC), IBM (NYSE: IBM), DigitalGlobe and Orbital Sciences, TASC and GeoEye.